Today we'll review an ASUS Radeon HD 7970 GHz graphics card from company's ROG Matrix series. This is a very interesting product designed primarily for overclockers and gaming enthusiasts. You can see this is a custom product which differs much from the reference design. In fact, only some of the memory chip layout has remained the same. Most importantly, the power supply unit has been overhauled. The 16-phase (!) design instead of the reference 4-phase one provides colossal overclocking and fine-tuning capabilities. For which, by the way, there's an official utility bundled with the card. An alternative way to overclock the card is to use buttons in the rear part. Pressing those increases or decreases core voltage. Visually, this is indicated by the 'MATRIX' LED that changes color depending on GPU load. The cooler looks much like the popular DirectCu series from ASUS. There are two massive heatsinks interconnected with heatpipes. One of the heatsinks' copper base is pressed against the core. The cover is as massive, featuring two high-quality, low-noise fans. Neither memory chips nor power transistors have dedicated cooling installed, although the bundle does include an auxillary heatsink. 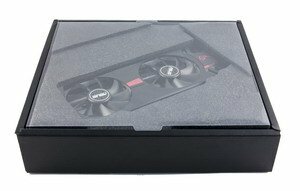 As a whole, the cooler is very quiet, even when the fan speed is over 2000 rpm. 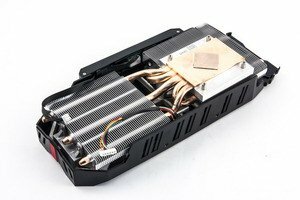 We measured temperatures using the EVGA PrecisionX utility. 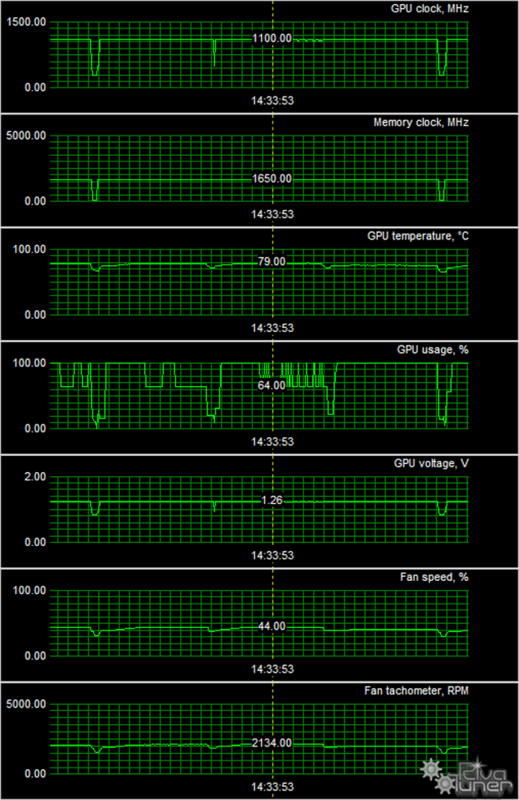 After 6 hours under maximum load, the top core temperature was below 80°C, even with the GPU fully loaded. This is simply great. A basic package should include a user manual and a software CD. 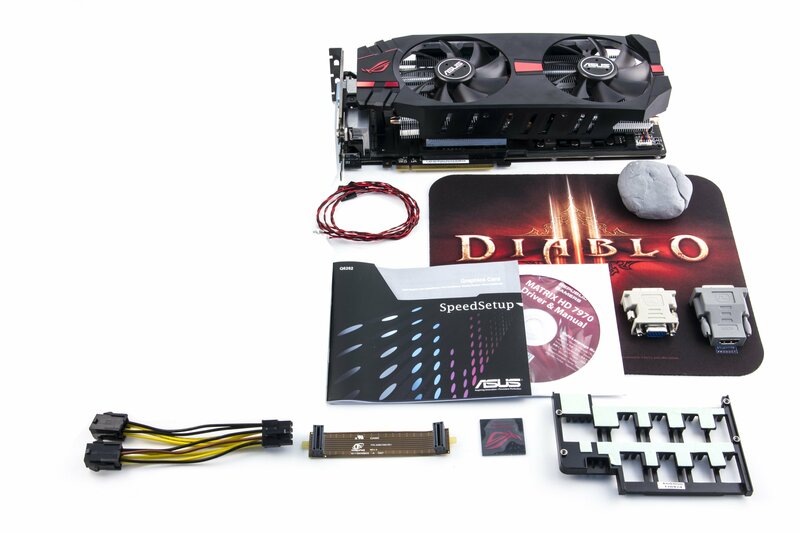 The card comes bundled with a basic package plus DVI-to-VGA and DVI-to-HDMI adapters, an 8-pin power splitter, and cabling for core/memory voltage/current monitoring. Hard Reset — DirectX 11.0, built-in benchmark, maximum quality settings. 3DMark (2013) (FutureMark) — DirectX 11.0, FireStrike, Performance settings. Aliens vs. Predator (Rebellion/SEGA) — DirectX 11.0, Very High settings, run from in game. Nexuiz (2012) (IllFonic/THQ) — DirectX 11.0, built-in benchmark, maximum quality settings. Crysis 2 Maximum Edition (Crytek/EA) — DirectX 11.0, Very High settings, Central Park level, launched with the Adrenaline Crysis 2 Benchmark Tool. DiRT: Showdown (Codemasters) — DirectX 11.0, Ultra High settings, launched as follows: dirt showdown.exe -benchmark example_benchmark.xml. Total War: Shogun 2 (Creative Assembly/SEGA) — DirectX 11.0, maximum quality settings. Sleeping Dogs (United Front Games/Square Enix) — DirectX 11.0, built-in benchmark, maximum quality settings. 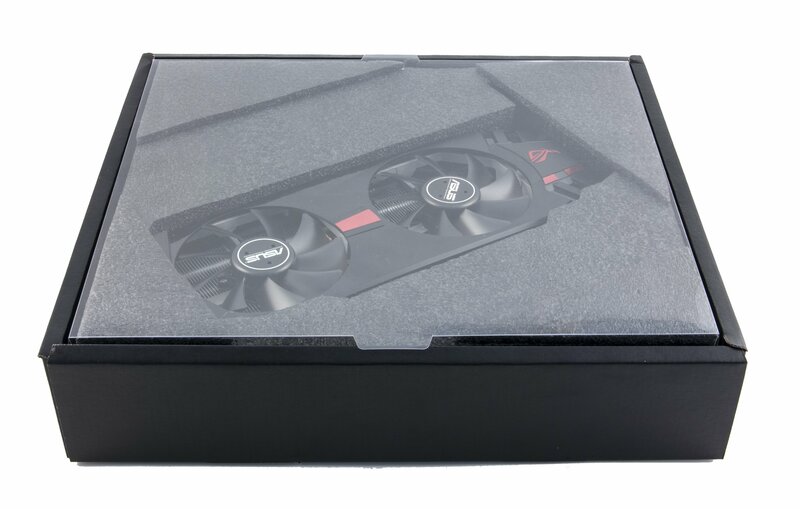 The capability rating compares each graphics card with GeForce GT 630, which is considered a baseline, or 100%. The rating is based on both synthetic and gaming results and shows, as the name implies, what a product is capable of. The usability rating is obtained by dividing each card's capability rating by its price. It basically shows whether a given product is over or underpriced, considering what it can do, and thus how reasonable it is to buy it. The complete ratings can be found in our i3Dspeed. Below are just the parts relevant to today's review. 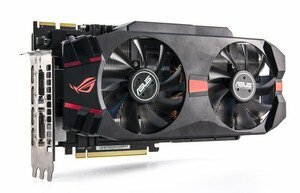 Solutions from ASUS are usually overpriced which prevents them from leading in their price range. But what do you know! This one is the leader in its price range both in terms of performance and usability. It seems like card's performance is so great that it actually compensates for it being overpriced. 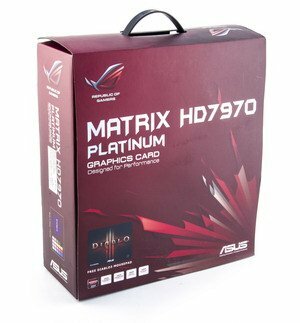 ASUS ROG MATRIX 7970 is an excellent variant of Radeon HD 7970 GHz Edition. 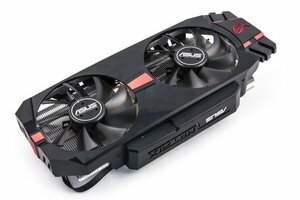 It's designed for overclockers, which shows in card's great tweaking options. We, for example, managed to achieve stable operation at 1250/6900 MHz, which is close to GeForce GTX Titan. 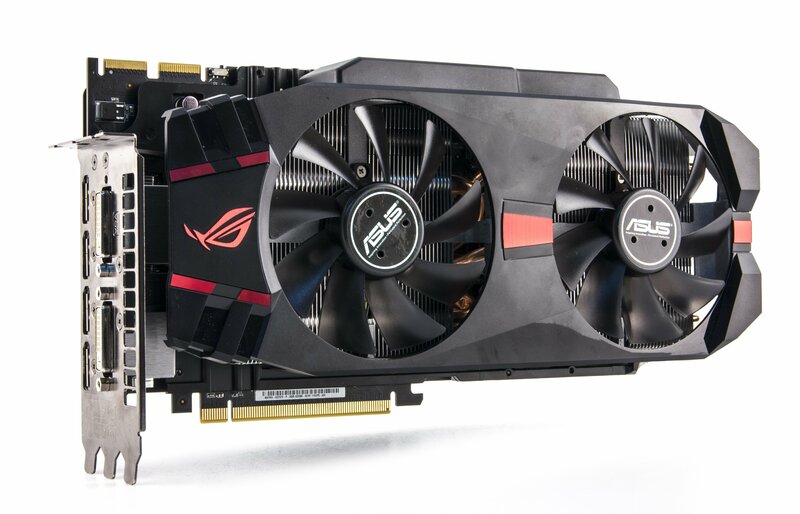 Last but not least, the card works quietly thanks to the impressive albeit massive cooling system.